I went with the feathers. 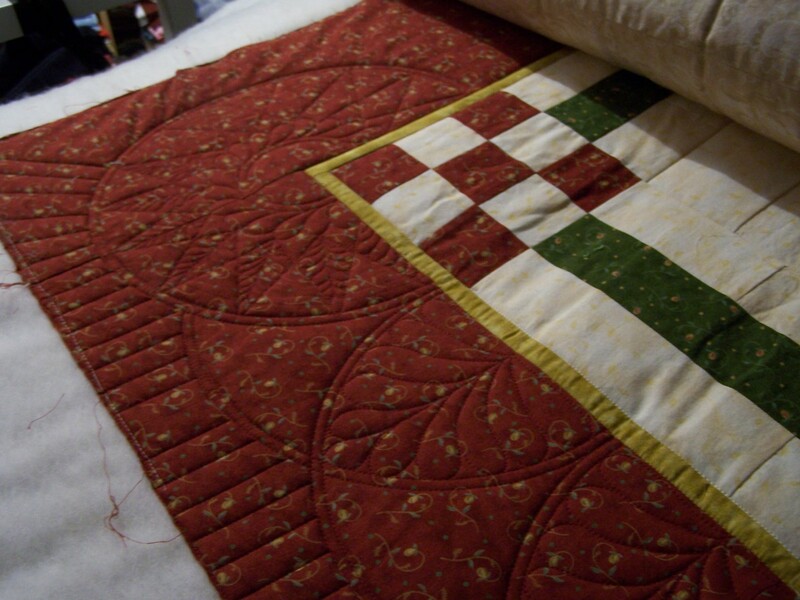 This quilt is going to take me forever….I’m real happy with some of what I’m doing…not so much with some. But, once again, I’m trying new things and learning along the way. And that’s a good thing! 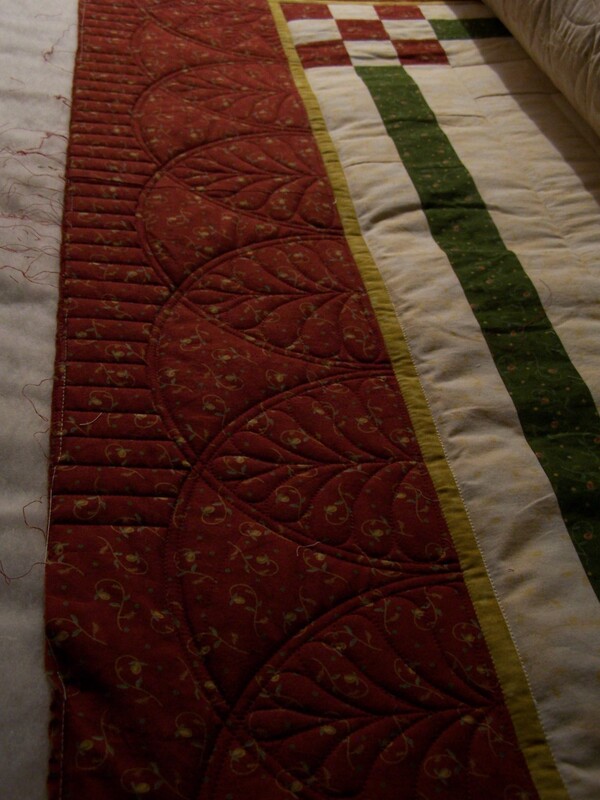 Yes, there is a line of stitching missing in the piano keys…thread malfunction…had to pick it out. Good for you for trying new things. As always, I think it is absolutely amazing. Your eye for detail is wonderful. Randi, it is looking wonderful! I love the addition of the feathers in the kite shapes on the sun. That really makes that motif! And your border is FAB!!! I can’t wait to see it all done – it is going to be stunning!! That is going to look incredible – love those tiny feathers! Whoa! I really like what you’ve done with the sun, Randi. 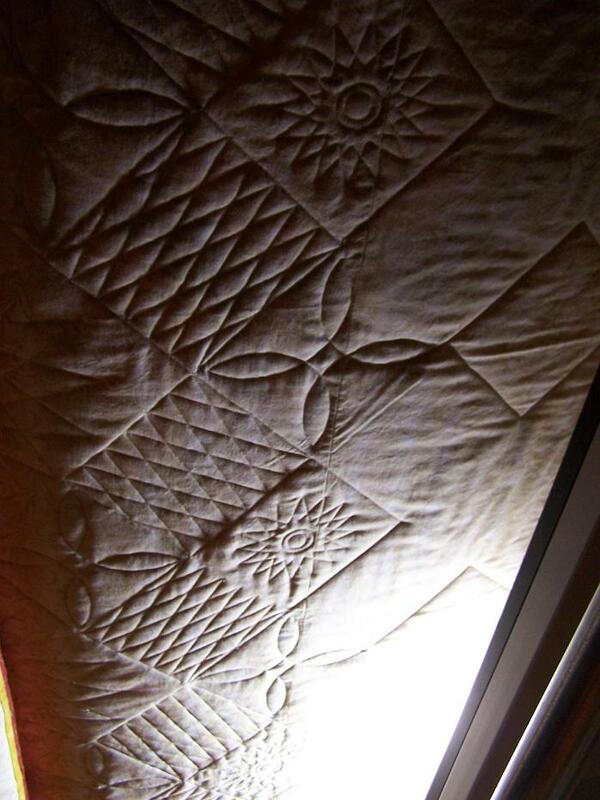 Very ornate and beautifully quilted. I didn’t see the missing piano key because I was too busy looking at the wonderful swags in the border. You’ve done some fabulous design work. 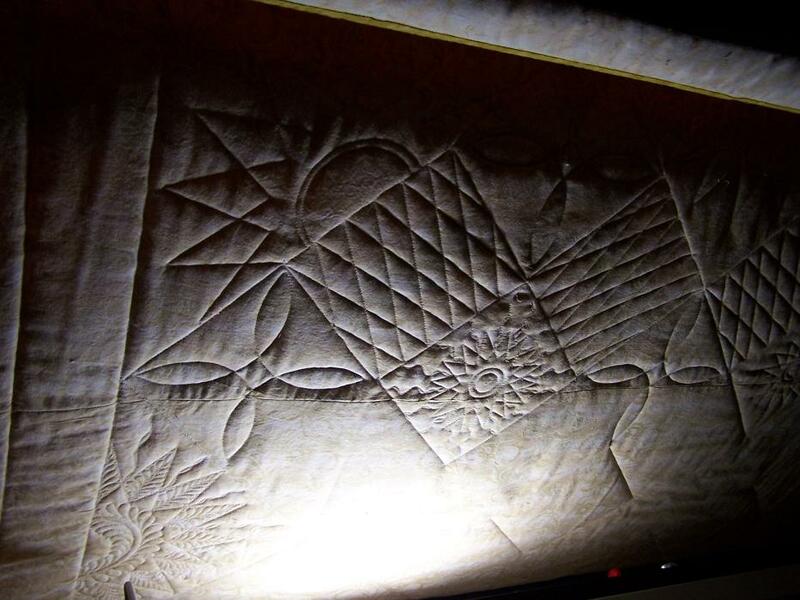 I can hardly wait to see the entire quilt finished. WOW WOW WOW Everything looks fabulous. The border really ROCKS!! Looking good!! I’m not sure what you don’ t like but I think everything is wonderful. OMG, that is going to be SO AWESOME when it is finished! Love the teeny tiny feathers in the sun! Beautiful!! Thanks for all the different ideas that marry so well together! You are so hard on yourself. Step back and look at the beauty! It looks terrific! My oh my, that’s going to be gorgeous! I don’t see anything I don’t like. 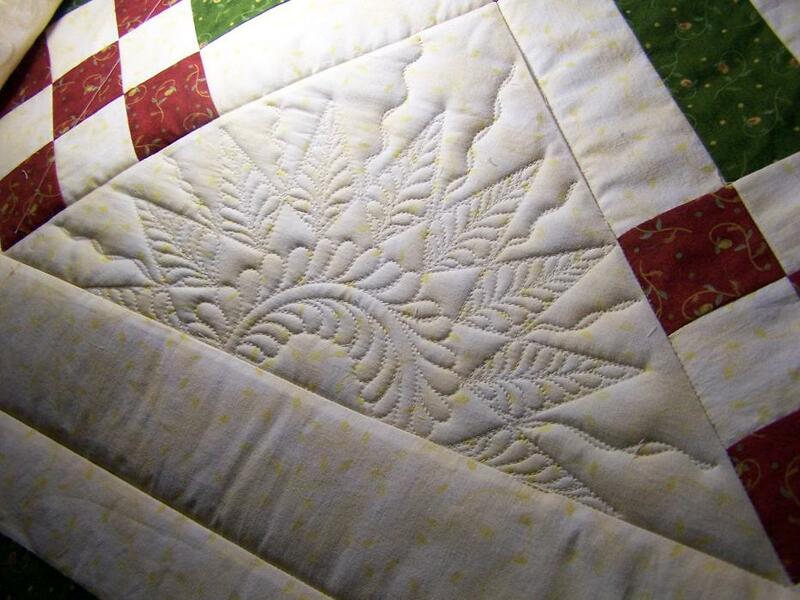 Got one of mine beautifully done…although edge to edge rather than custom……I was making it for a customer but draw the line when it comes to quilting. WOW!!! I did not see that coming with the original pictures!!! VERY gorgeous!!! Keep it up…you sure have impressed me so far!!! 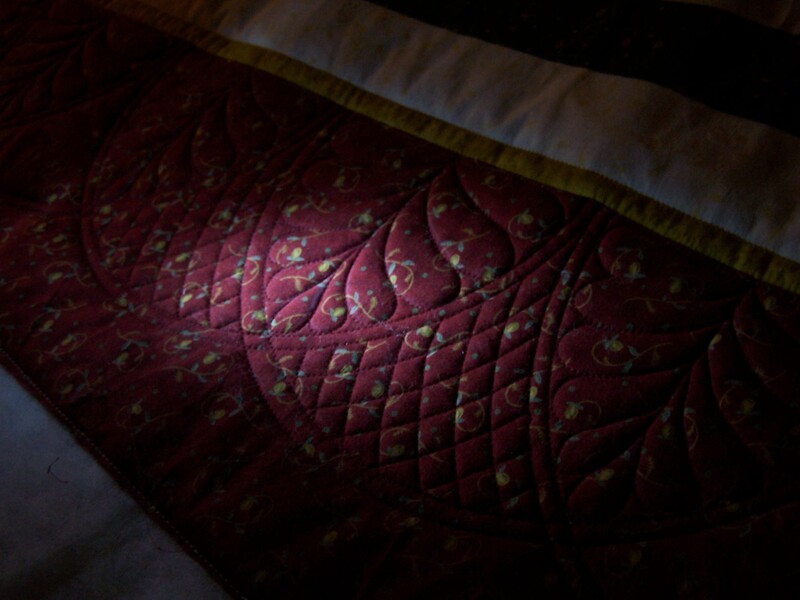 Randi, the quilt looks great. The borders are fabulous. I can’t wait to see it finished.